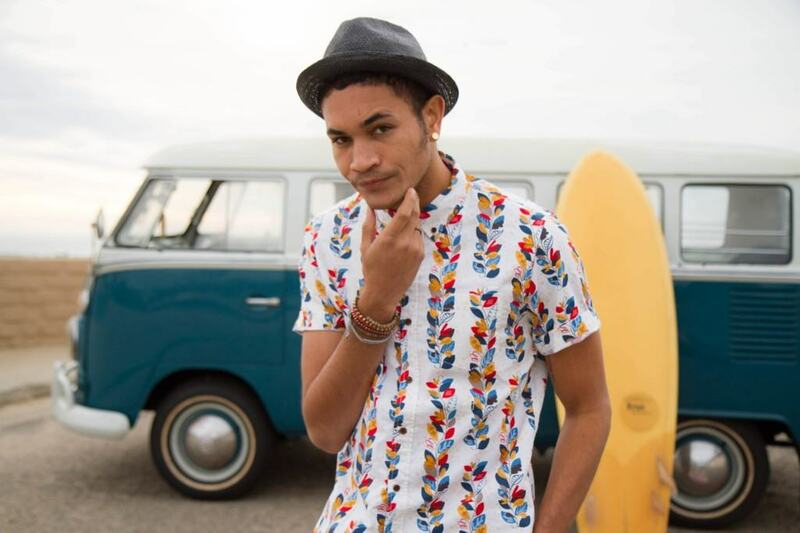 Bryce Vine rounds out his Trendsetter Tour with a charismatic performance at The Loft. “The Glee Project” alum Bryce Vine gave an electrifying performance on campus. Photo courtesy of Us Vs Them. As one of 12 triple-threat contenders on “The Glee Project,” Bryce Vine has come a long way from his short-lived moment on the screen, proving that his last-place rank was just the first of many opportunities to break through the industry. Since then, he has done numerous gigs, notably for pop duo Karmin. But now, with a top-100 album under his belt titled “Lazy Fair,” Vine rocked the end of his national Trendsetter Tour by kicking off his last performance at UCSD’s The Loft. Before Vine hit the stage, UCSD’s own new hip-hop and rap group took the opening act. Introducing themselves as Lightyears Ahead, the trio of students kick-started the night with some much-needed energy and proved their capabilities in delivering quick raps. Their performance lacked the necessary background instrumentation that certainly would have amped up the energy; fortunately, soulful band Super Groupie managed to provide just that. With lead singers on guitar, a drummer, a saxophonist and a trumpet player, Super Groupie slowed down the night for a nice half-hour of jazz music — a change in tempo seemed displaced in a concert permeated with rap music, but their talent was so remarkable that they were a natural choice to perform before the star of the night. When the room settled for a slight second, Vine — who was dressed as casually as the audience — hopped on stage and commanded attention. He jumped straight into his setlist; it wasn’t until the second song that he introduced himself. Vine has been traveling the country on his Trendsetter Tour. Photo courtesy of Us Vs Them. What Vine was most known for on television were his pop covers; since then, his musical genre has diversified to a blend of original, organic music that he has made his own. His personal style of combining the rhythmic melodies of pop and dropping a swift beat in rap transposes directly on stage. Backed by his disc jockey, Skizz Marquee — who seems just as passionate, rocking out as he skids a finger against the vinyl — Vine’s music has an eclectic arrangement of sounds that synergize well with his speedy lyrics. There are electronic jangles of an electric guitar and beats, trumpets, steady drum rhythms and claps recorded on the vinyl that give it the vibe of a radio performance gone live. With high-energy, fast-paced performances like “Where The Wild Things Are” and “Sour Patch Kids,” it’s apparent how much Vine connects with his music. He’s charismatically jumping all over the stage and on the equipment, reaching out to his fans with confident enthusiasm and letting himself loose. Listening attentively shows why he’s so ardent about his own music: It’s about having a good time. But with the majority of the audience jamming out and swarming around the stage, it was apparent that they took Vine with a great reception as he cracked a few snarky jokes and met some of the screaming fangirls in the audience. Tame as The Loft is during the day, artists like Bryce Vine prove that venue doesn’t matter as long as the energy is in the performance.